Prior to their collaboration, both Couchbase and Prof. Papakonstantinou independently concluded that existing approaches did not provide a complete and efficient solution for querying semi-structured data. Both shared a common vision of combining SQL, the leading database query language, with JSON, the leading format for modeling semi-structured data in modern applications. Both had launched work in that direction, and their decision to collaborate is based on this common vision. Couchbase will fund continued research at UC San Diego to further the development of SQL++, a formally-defined, SQL-backwards-compatible declarative language for semi-structured data developed by Papakonstantinou’s team at UC San Diego’s Database Group. Couchbase will also continue to enhance N1QL, the company’s query language that extends SQL for JSON and is consistent with specifications defined by SQL++. Couchbase will fund research on SQL++ led by CSE’s Papakonstantinou. SQL++ is easy to learn, especially for developers who are familiar with the syntax of SQL. But unlike a relational database, where all data must fit neatly into tables, JSON is a lightweight data-interchange format that is easy for humans to read and write, and for machines to generate and parse. 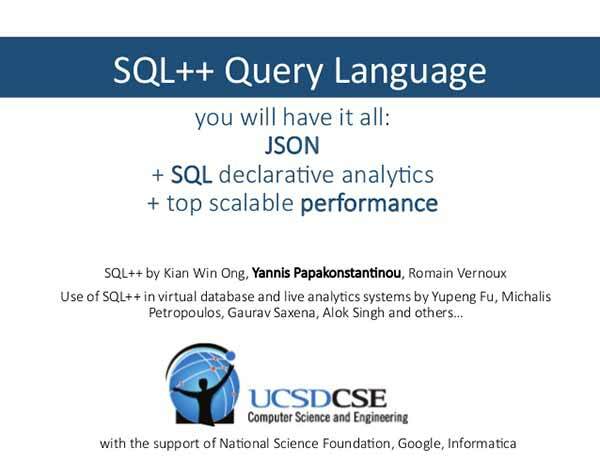 As detailed in a recent technical report* from the UC San Diego Database Group, SQL++ co-creators Papakonstantinou, as well as researcher and CSE alumnus Kian Win Ong (PhD ’12), specify the syntax and semantics of SQL++, which is much cleaner and only introduces a small number of query language extensions to SQL. 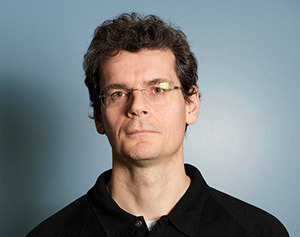 “SQL capabilities are most often extended by removing semantic restrictions of SQL, rather than inventing new features,” said Papakonstantinou. “This allows SQL++ to avoid unnecessary extensions over SQL.” The ease of use is also enhanced because SQL++ semantics tend to be significantly shorter than in prior query languages. After looking at 11 query languages, Papakonstantinou concluded that none provided full-fledged querying of semi-structured data. Funded by the National Science Foundation (NSF) and Informatica as UCSD’s FORWARD project, he and his team developed and launched the SQL++ specification. Concurrently, Couchbase had independently developed N1QL to provide a comprehensive query language, combining the query power of SQL with the flexibility of JSON data. 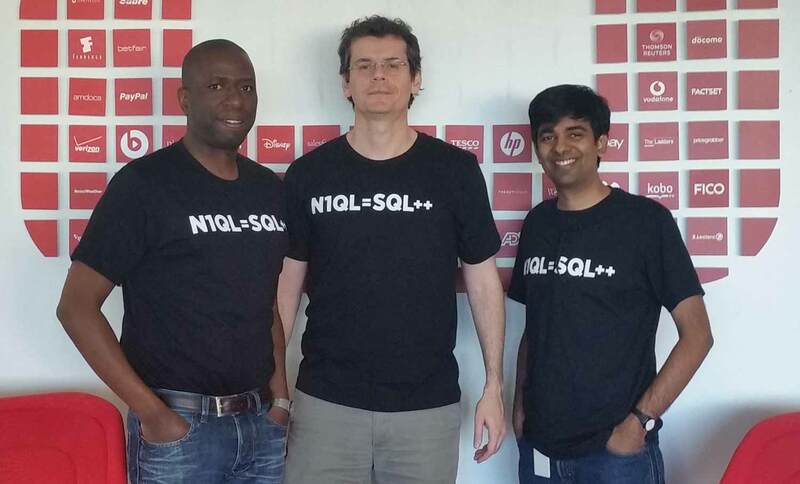 In fact, Couchbase and UCSD have formally established that N1QL is a dialect of SQL++. The formal mapping of N1QL to SQL++ is being published separately. In addition to Couchbase, UCSD will also invite other academic and industry partners to join a query language collaboration, in order to benefit users and ease the adoption of semi-structured and NoSQL databases. Already, UC Irvine’s AsterixDB *, led by professor Mike Carey, supports most of SQL++ and is on the path to supporting the full SQL++. The collaboration has already provided important language design feedback.